In a meeting this week with industry associations, Pai is said to have outlined a plan that would do away with the classification of broadband providers as common carriers subject to the oversight of the FCC. The new proposal would, however, require the broadband providers to promise to preserve net neutrality principles such as by not blocking or prioritizing Internet traffic, according to the news reports. The reclassification of broadband as a public regulated utility was part of a move by the previous administration of President Barack Obama to preserve net neutrality in the U.S. The FCC voted 3-2 in February 2015 to reclassify broadband as a regulated public utility by invoking Title II of the Communications Act, thus prohibiting providers from selectively blocking or throttling or offering paid prioritization of Internet traffic. Broadband providers appealed the rules in court but have so far not been successful in getting them overturned. “Uncertainty is the enemy of growth,” Pai told an audience at the Mobile World Congress in February in Barcelona, suggesting that broadband investment is down since the regulations were passed, although some net neutrality advocates dispute that. A rollback of the 2015 Open Internet Order would likely meet with protests from civil rights groups, internet companies and Democrats in Congress. The multi-step plan appears to be aimed at over time shifting oversight for net neutrality to the Federal Trade Commission, which oversees most internet-related business, reported the Wall Street Journal, quoting people familiar with the discussions. The plans could begin to be adopted as soon as the FCC’s monthly meeting in May, it added. The FTC lost its authority over the broadband providers as a result of the reclassification. 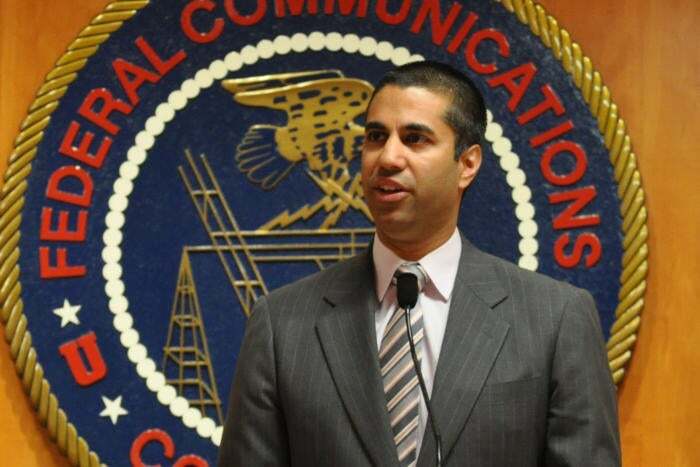 Pai wants the service providers to commit in writing to net neutrality principles and even include these provisions in their terms of service, which would make them binding, reported Reuters. The FCC could not be reached for comment after business hours. It did not comment to both WSJ and Reuters. Trump this week approved a resolution to repeal upcoming privacy rules that could prevent ISPs from selling customers’ internet-browsing histories and other data without their permission. The privacy rules had been opposed by internet service providers who argued that they are being treated differently from other internet entities like search engines and social networking companies. Pai favors uniform rules on privacy for Internet companies, with the FTC rather than the FCC setting those rules. Currently, only three of the five commissioner seats in the FCC are filled, with the Republicans in a majority. Trump is expected to nominate the remaining two commissioners.